AA/Fuel Altered Bantam Roadster - SJS Details. This body would require a drag racing kit or a hot rod kit to complete. One piece body, similar to the one in the MPC “Bantam Blast” kit, and also includes the radiator / grille. 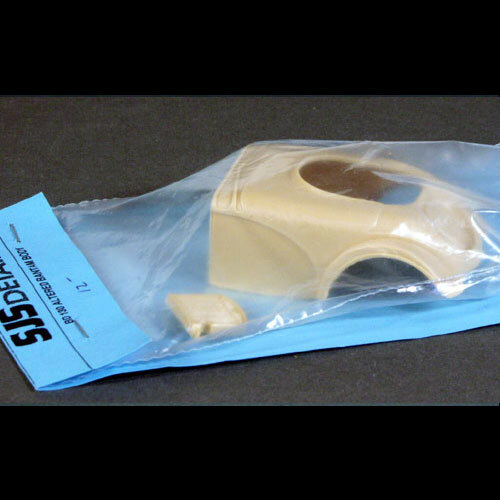 This resin model / body would require a Truck model kit or a Hot Rod model kit for donor parts and to finish. Images courtesy of Tom at Spotlight Hobbies.